Any business that uses QuoteWerks. Users that would like to enhance the capabilities of QuoteWerks and improve their office efficiency still further. Users that want to achieve even greater productivity from their day. ConnectIt-Workflow QuoteWerks Request For Quote (RFQ) Module manages the process of sending Request For Quote (RFQ) documents to one (or number of) Vendors to get their prices for supplying goods and services. For goods and servies that you haven’t sourced for some time, ConnectIt-Workflow QuoteWerks Request For Quote (RFQ) Module speeds up your ability to request prices. When Vendors return their prices, enter the values into the QuoteWerks Document and have the ability to compare quantities and prices to get the best price for you and your client. Intuitive process and user-interfaces that help manage the Request for Quote process within QuoteWerks. Quickly and easily compare the returned Vendor prices and select the best deal for you and your customer. Uses QuoteWerks Purchase Order emailing to ensure that communications are tracked in your contact manager as per normal for your QuoteWerks integrated solution. Straightforward to install and set up with user-friendly configuration screens and lots of options to get ConnectIt-Workflow QuoteWerks Request For Quote (RFQ) Module working for your business. Select one (or number of) Line Items on the QuoteWerks Document that you wish to request prices for. Use QuoteWerks ‘out the box’ functionality to email the Request For Quote (RFQ) Documents to one (or number of) vendors to get their up-to-date prices for the requested quantities. Vendor price and quantity comparison screen (very similar to the QuoteWerks Compare screen). For an online demo and more information about ConnectIt Software, please either email your request or give us a ring to speak with someone and book a convenient time. You can view screenshots, plus get a huge amount of information on every single option available within the ConnectIt software on our support resource page. On the Support Resources page, just click on ‘Workflow’ and scroll down to the Step-by-Step Guides section; the Workflow Management and Configuration documents provide the most information for you to get a better understanding of the ConnectIt software. If you're a reseller that would like original graphics for preparing a presentation, then please contact us to get high quality images. Click here to go to the ConnectIt-Workflow pricing page. 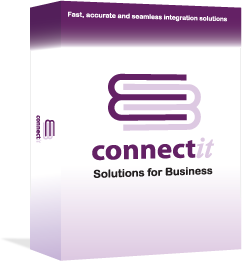 Click here to download the latest version of the ConnectIt-Workflow software. If you already have (or would like to subscribe to) a support contract for your ConnectIt product, please contact us. For documentation, including step-by-step guides and technical information, please refer to the Resources pages. Or, to search the ConnectIt Support Knowledgebase, please click here!